Serve me a flaming drink with giant florescent straws is and you'll get high marks from me. Feed me well and you'll have a devotee on your hands. 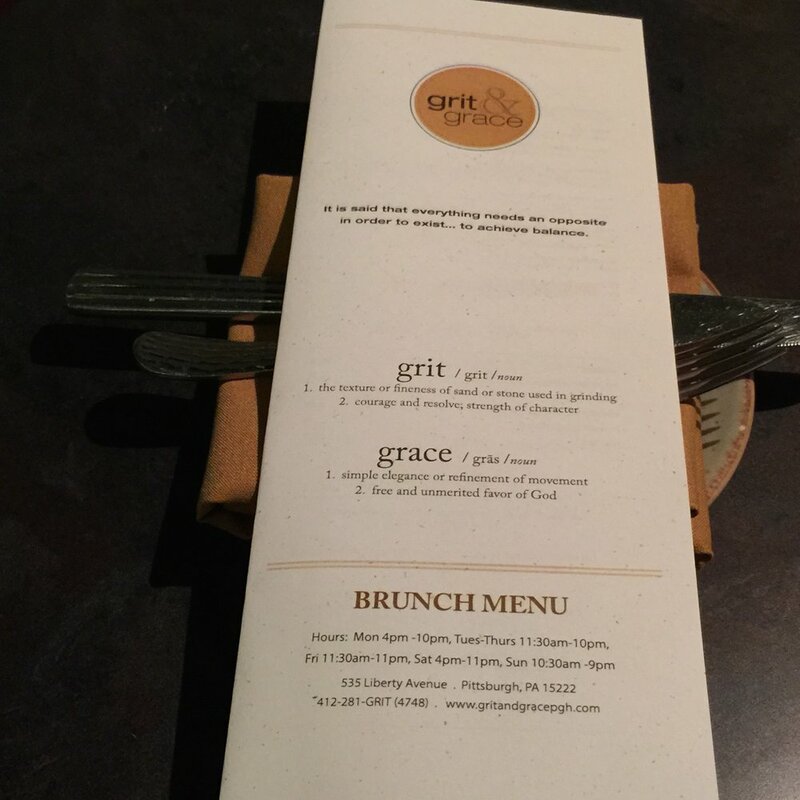 Grit & Grace in Pittsburgh, PA wins on both accounts. On our last visit to the city of bridges we visited this downtown spot for brunch with Rob's parents. That straw is awesome right?! The menu was brief but unique and offered options that appealed to all palettes. Not being able to decide Rob & I both ordered a dish each from the small and large offerings. Ultimately this turned out to be a sh** ton of food (we had already tried all three of the bread options being served that morning,) but everything was worth a taste so we happily stuffed ourselves on a steam bun, savory stuffed crepe, buttermilk & ricotta pancakes and stuffed french toast. Our favorite dish was the buttermilk ricotta pancakes. It was the only plate with nothing left on it when the waiter took everything away. We just could not stop taking bites, no matter how full we got. They're still on the menu, so go have brunch here soon and make sure you call ordering them before any of your friends do.